This summer, there has been a lot of growing going on in our little neck of the woods; This has been both good and bad. The kids, well they loved their old playground. It was a gift given to us from dear friends and it was definitely well loved. 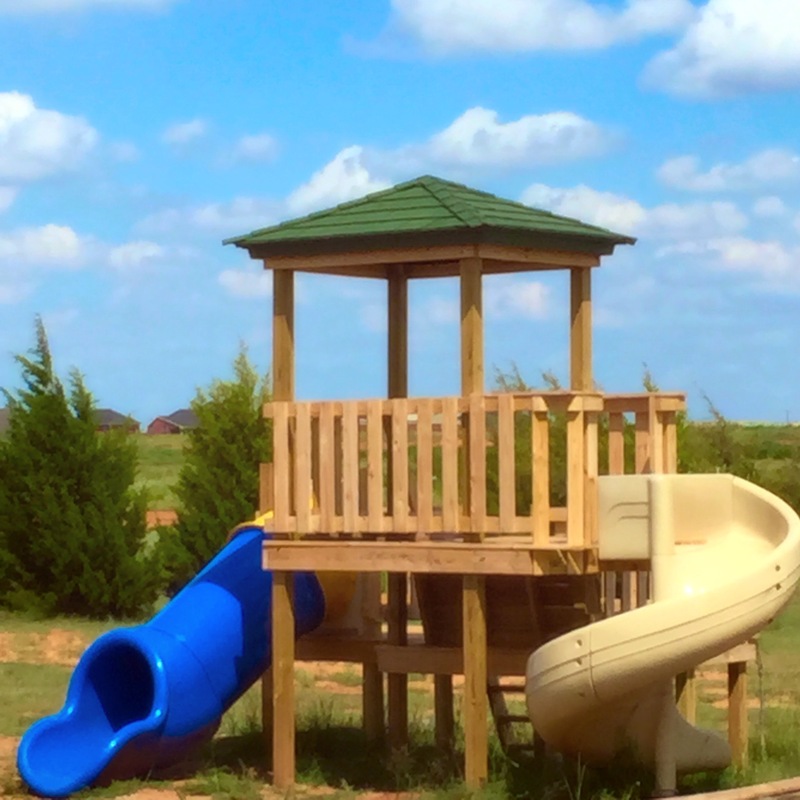 It was hard to see it destroyed by a sudden tornadic storm. But, in the disappointment, we also found something to be grateful for – good insurance that provided replacement cost. 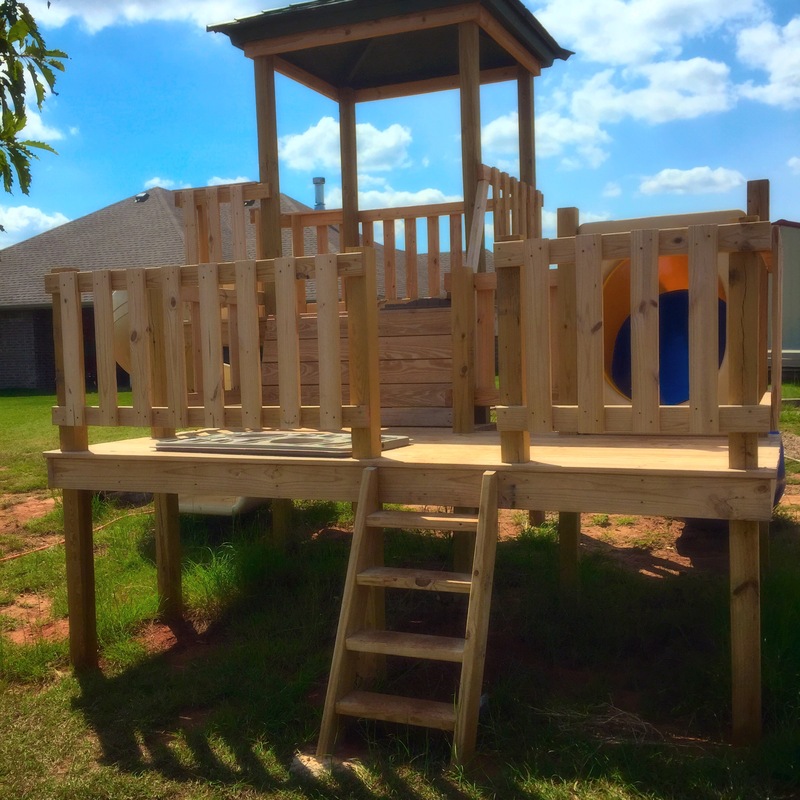 Now the little ones have a new (hand built) playground/fort to read on, play on and experience all kinds of adventures on. 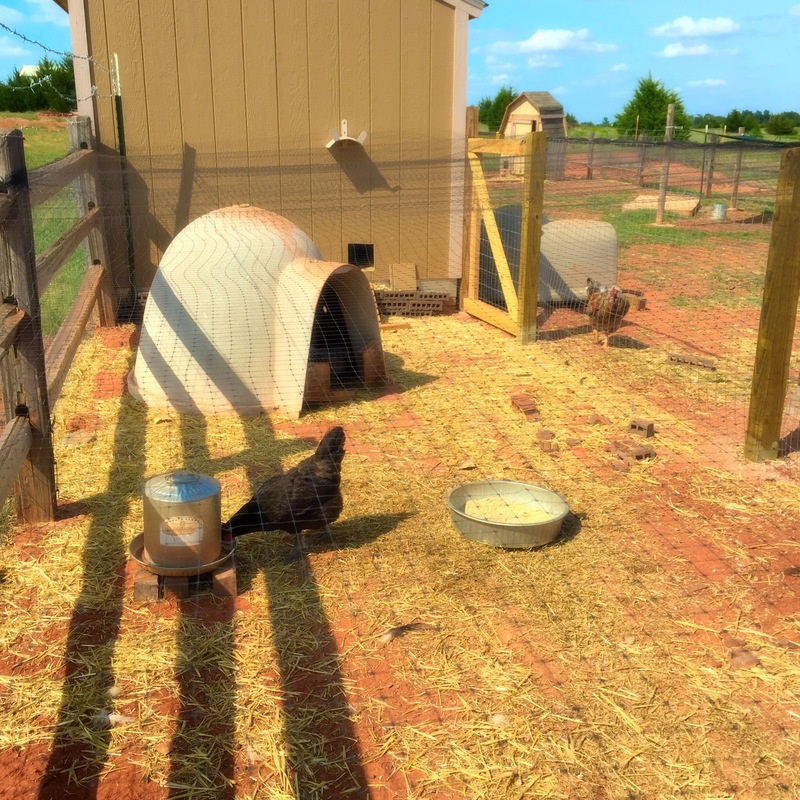 We have worked very hard on getting our goats and chickens in a new (and bigger) safe and secure fenced in area. 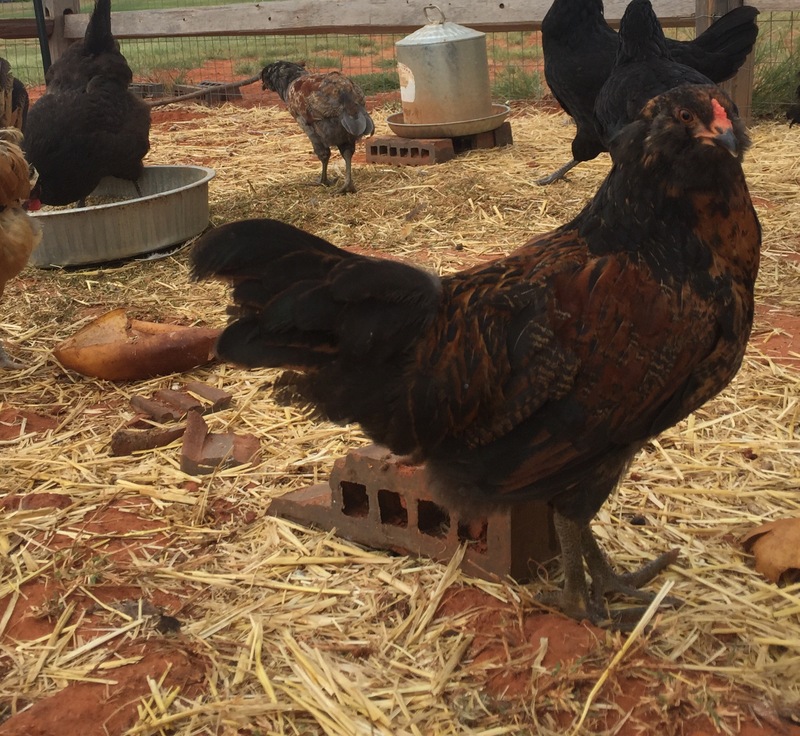 The coyote, that seems to have plagued my life, provided us with much insight in this after taking off with my whole flock (8 hens). 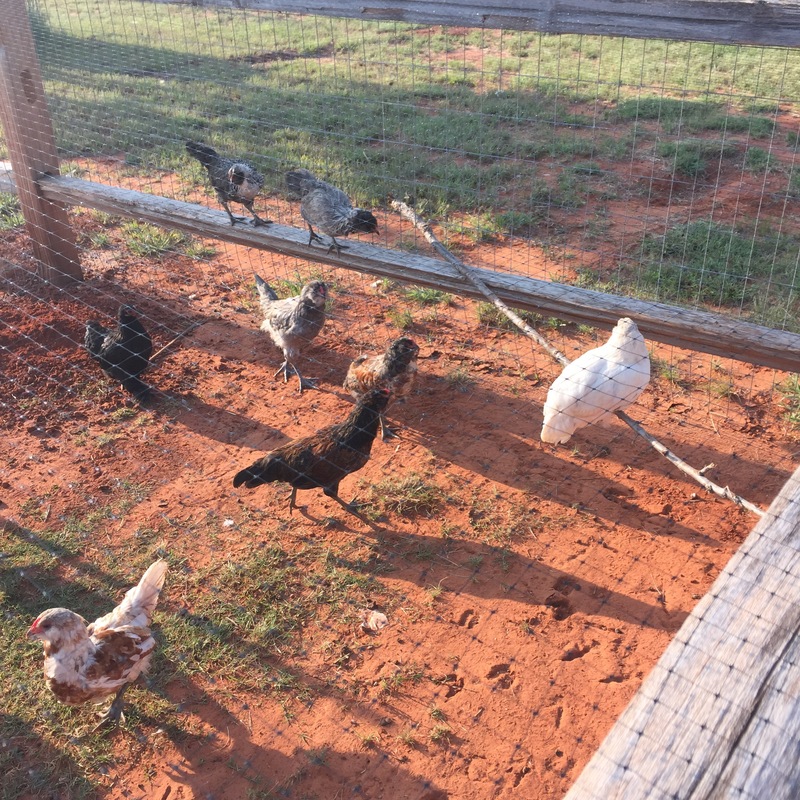 I think we now have them (my new flock of 14) in a safe and secure little run. 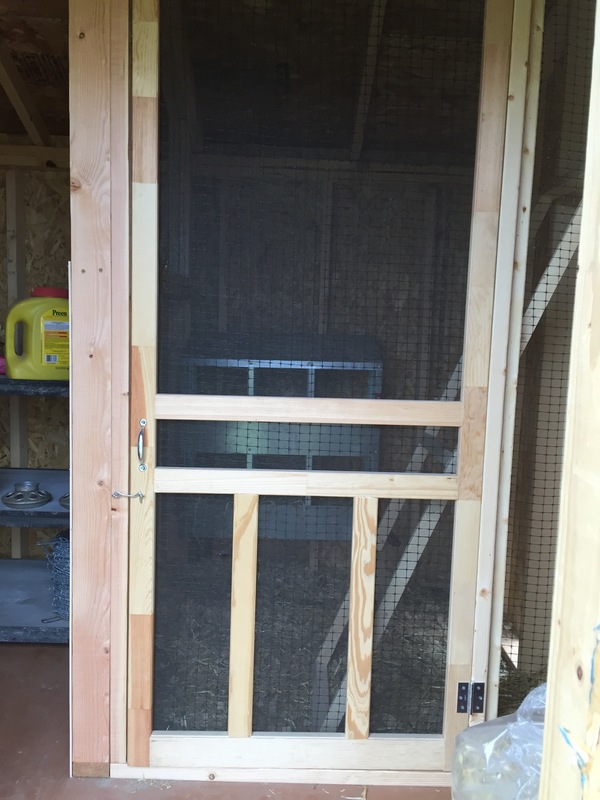 My handy-dandy husband also worked hard at turning our garden shed into a new chicken coop. 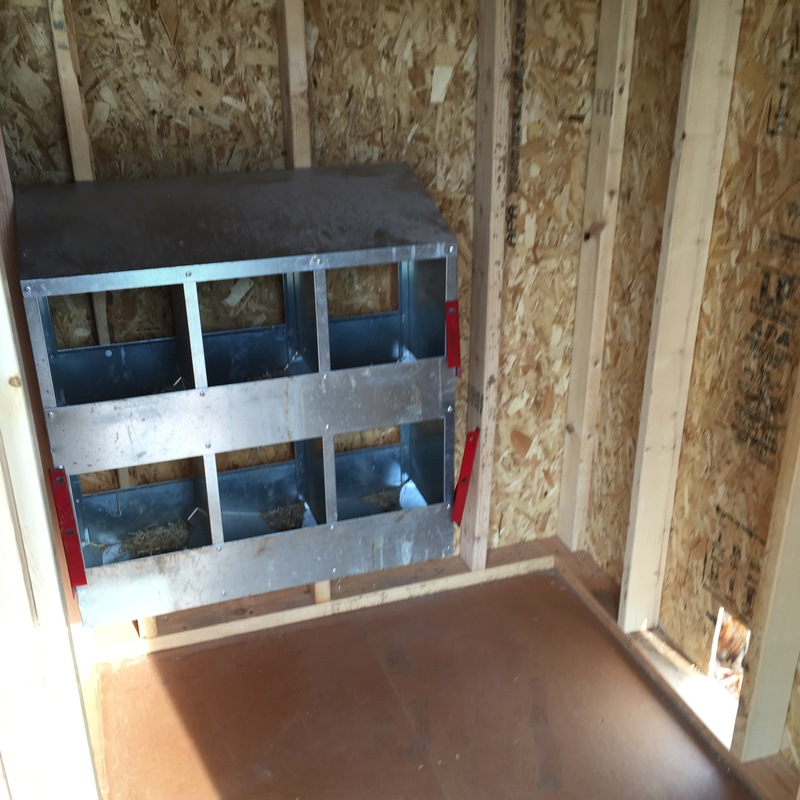 The beginning of the work. Someone had to take a peek and see what was going on. 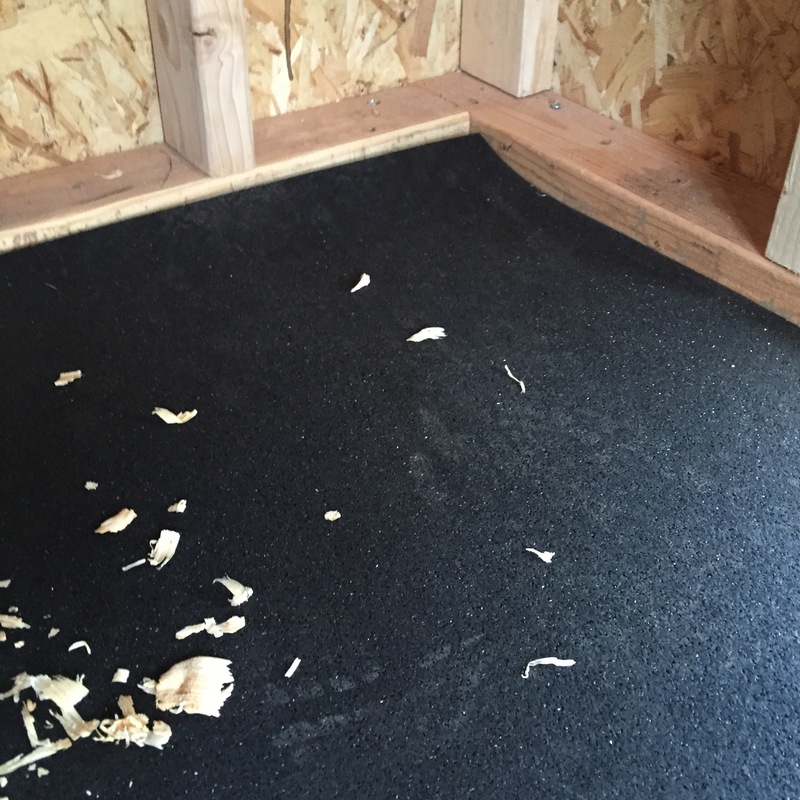 We laid a piece of rubber flooring down for easier cleaning. 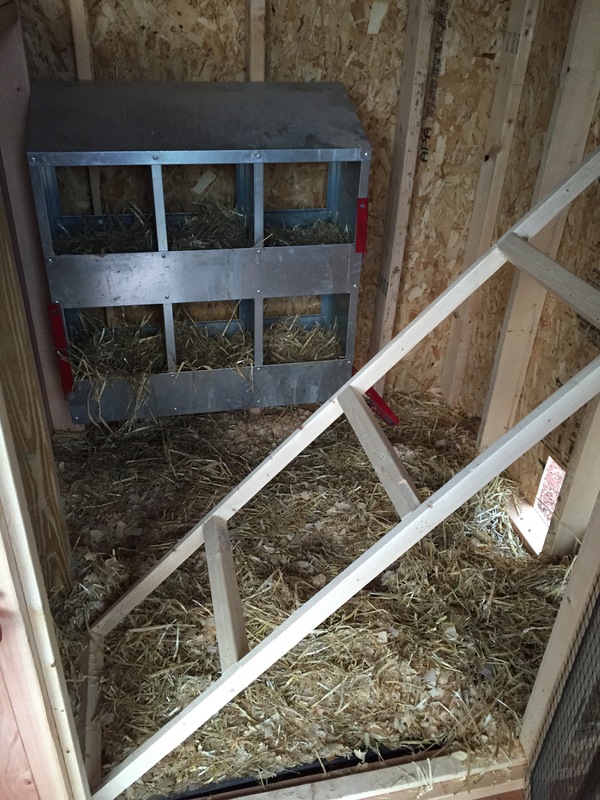 Pine shavings, straw and a roost completed the new space. Oh yeah, don’t forget the door. It is perfect. 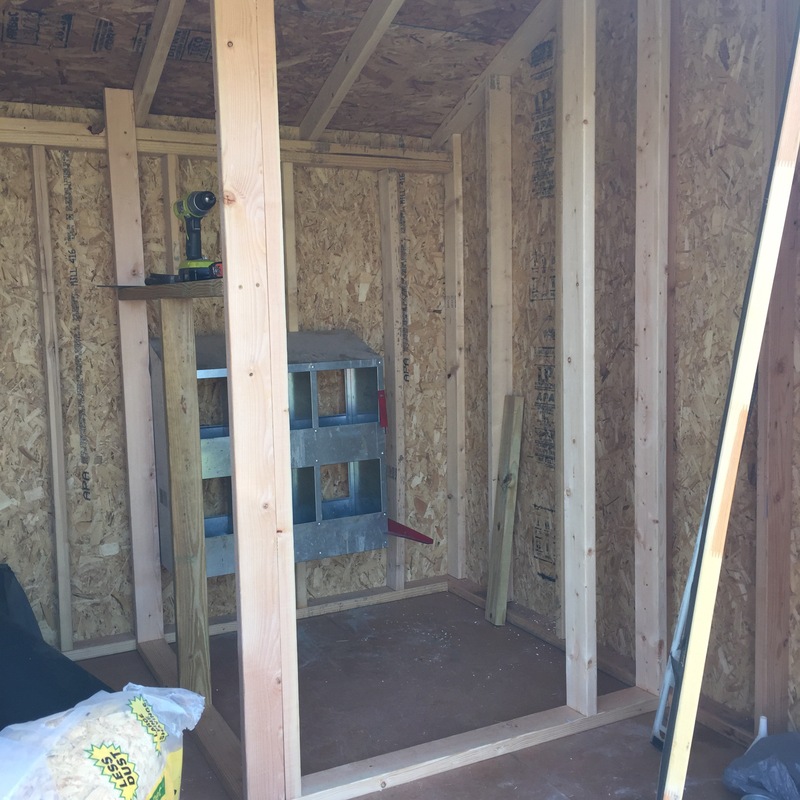 I am so happy with our new garden shed/chicken coop. 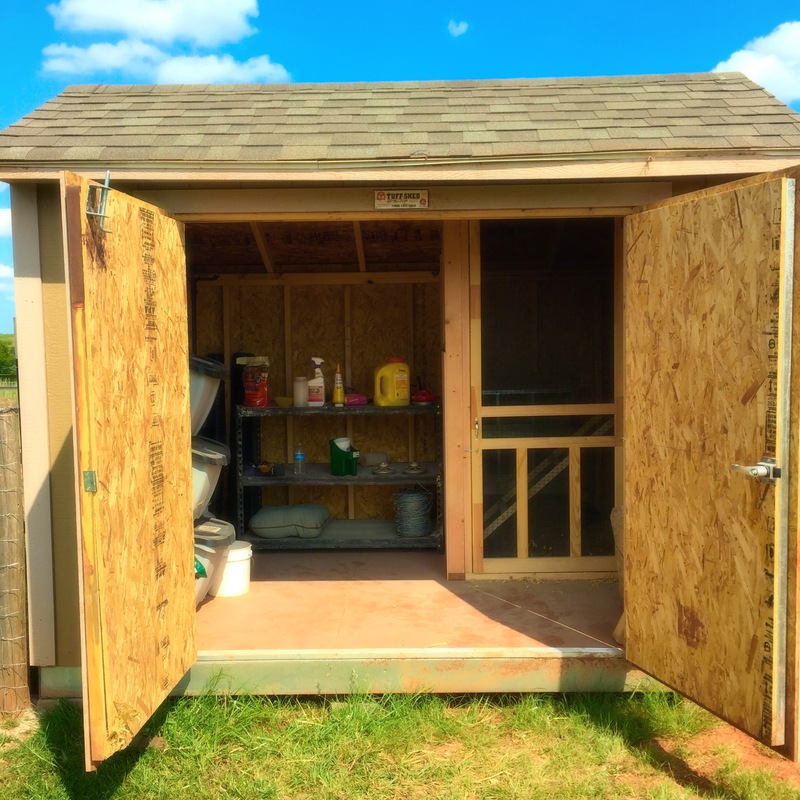 In truth, it is much better than what we had before – It houses all the animal food and supplies (no more back and forth trips for me) and gives my chickens a nice big clean space to sleep and lay eggs. 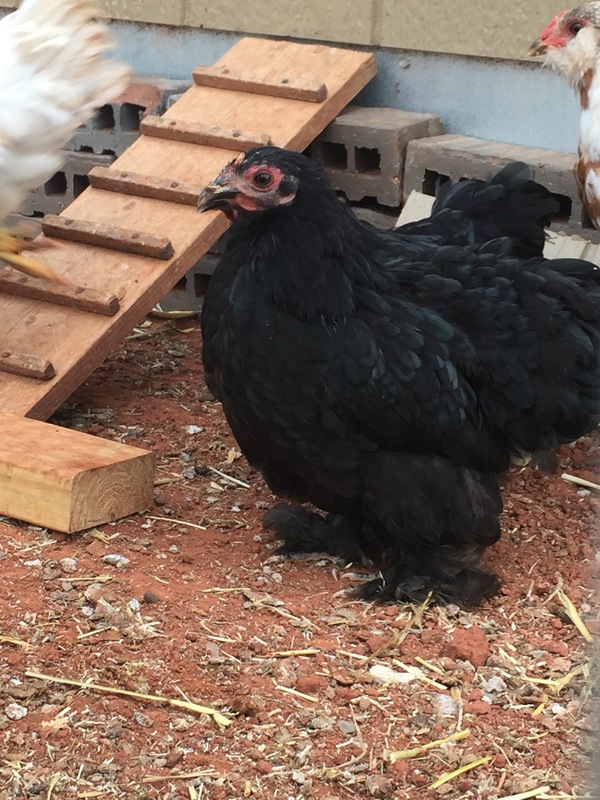 Except, Shiloh is not too big on the idea of being kept out of the new chicken run (this means she cannot go and snarf down their food). SPEAKING OF SHILOH…ahem, notice a little “rotundery” going on there with her??? It seems like she made herself a little friend while she was on her month long getaway after the tornado hit. 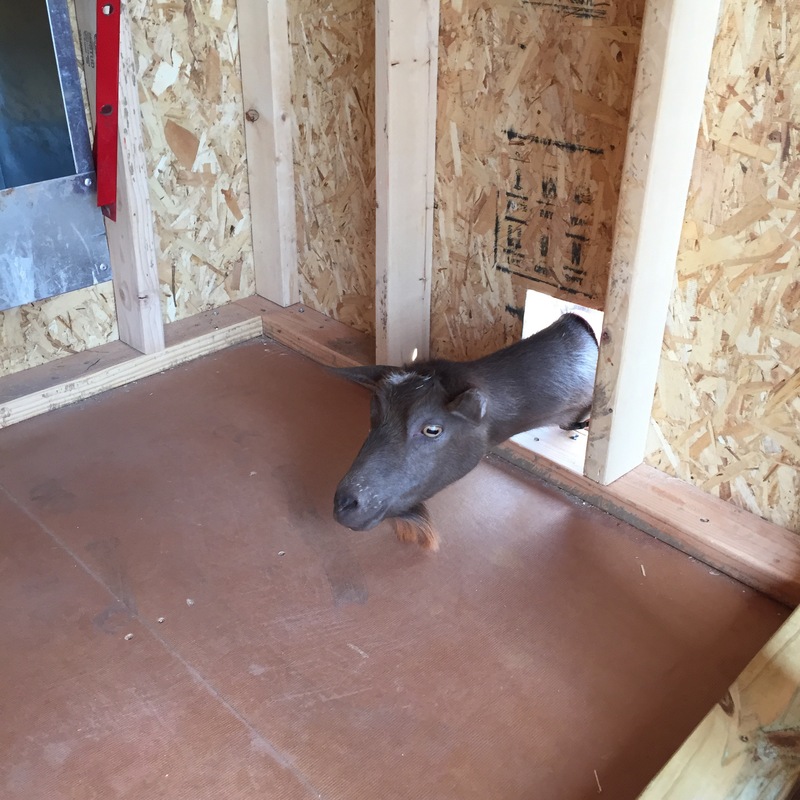 So, while we were working hard to get her fencing all set back up so she could come home…she was, apparently, in no rush to return as she was otherwise occupied. I’m guessing sometime in mid-October we should have a couple of little goatlings running around here. Sooooo, this should be interesting. 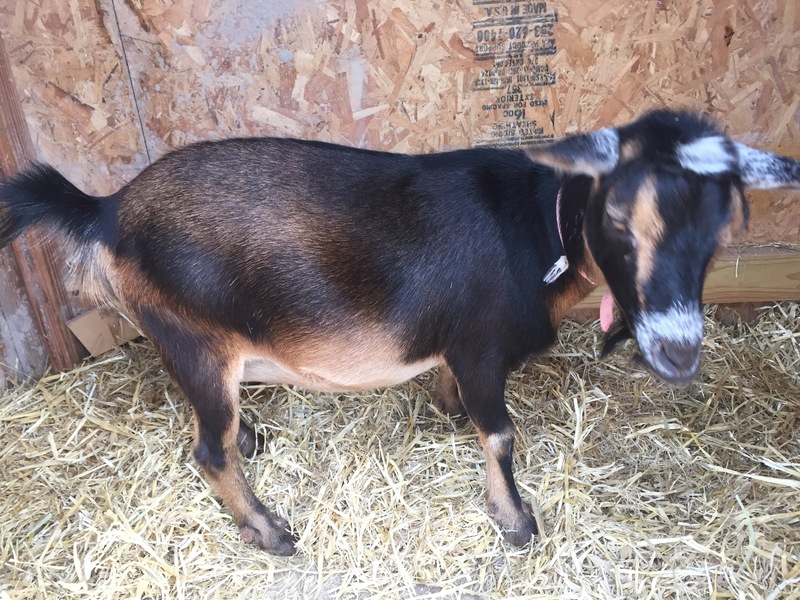 I’ve already began my search online – “how to prepare for birthing a goat”, “what to do when your goat is having babies” and “can goats give birth without me having to be there to help”. I mean, sure, I think it will be very neat and exciting. My children will, most likely, glean quite the educational experience from this…or they will be traumatized and disgusted by it. 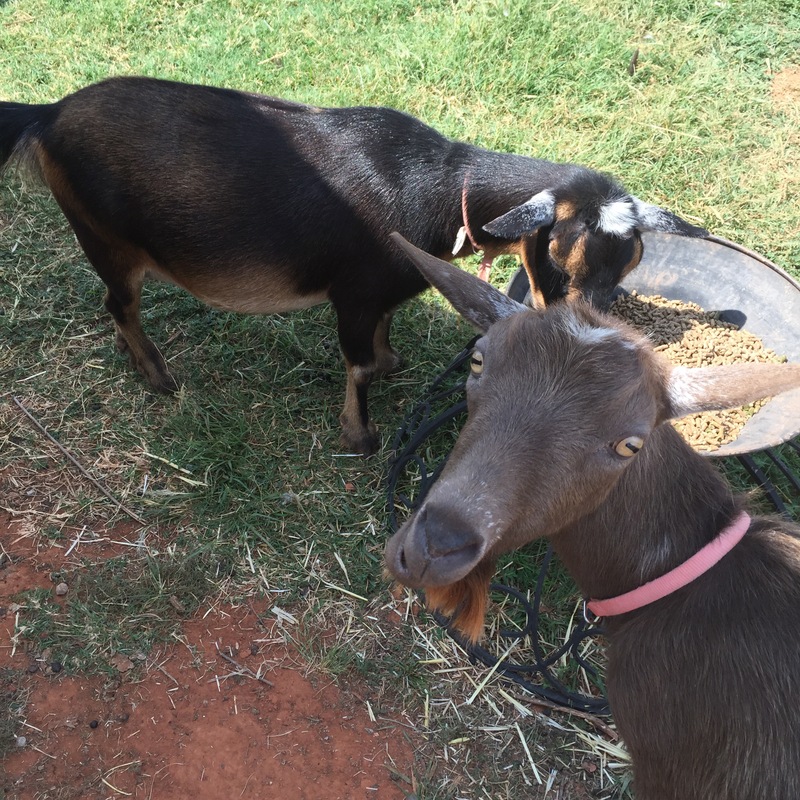 I’m leaning towards the latter, based solely on Lil’ Man’s initial notion that Shiloh would be laying eggs and hatching out baby goats. Josie decided to photobomb my picture of Shiloh. And, here is sweet and ever-so-pregnant Shiloh. 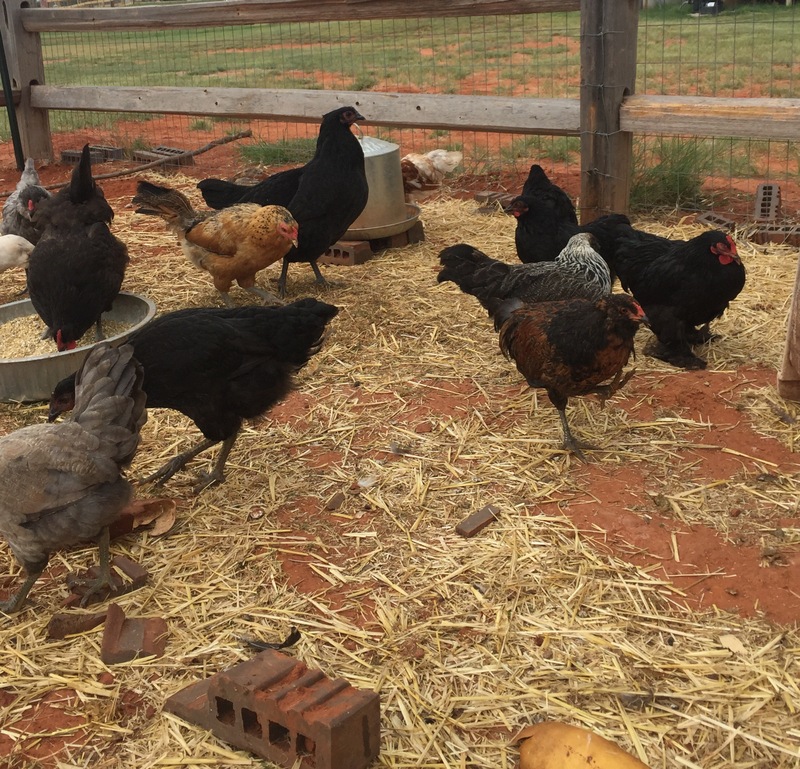 Be checking in on Stories from the Homestead posts for updates on our new little arrivals. While most of our growing has been good – I can’t say that I have enjoyed all the growth that has taken place. Our once quiet little street of sparsely scattered houses has grown into a full blown neighborhood. Our little 2 acre plot, that once felt wide and plenty, now seems crowded and stuffed – bringing on a feeling of suffocation about. Space. I need (want) more space. Isn’t that just it though? Never quite enough. What I once thought was ideal and fulfilling just somehow doesn’t seem to satisfy anymore. A sudden acquirement of a full (20 acre minimum) plot of land would, I am sure, at some point no longer be enough either. The discontentment would find somewhere to nestle and grow. The true revealings of a heart. I am reminded that nothing here on earth will ever be enough to satisfy, never enough to fulfill our discontented hearts. For isn’t there always just one more thing we find ourselves wishing for. A statement that truly shames me. But, when that feeling of sinful discontentment rises…I have learned surrender. I am thankful for a God who is, enough. He can fulfill and satisfy even the most undeserving and discontented hearts (like mine). In Him, and only Him, can my soul, my heart and my longings find rest. He desires to be my all in all. So, I wake. I surrender and I give thanks —and somewhere in the surrender and thanks my heart is given…contentment.